Loans are an increasingly important part of financing a college education. These loans have low interest rates and both the interest and principal may be deferred until after you leave school. Consider a loan as borrowing against the increased earnings you can hope to have as a college graduate. For the SUBSIDIZED STAFFORD LOAN the government pays the interest on the loan while the student is enrolled. The interest rate is a fixed rate of 5.045 percent. Undergraduates may borrow $4,500 in the second year and $5,500 in each of the third and fourth years. Repayment begins six months after the student's last semester in school. A separate loan application is required for 1st-time borrowers. The UNSUBSIDIZED STAFFORD LOAN has the same terms and conditions as the Subsidized Stafford Loan except that the student is responsible for the interest that accrues while he or she is in school and the interest rate is 5.045 percent. Further, demonstrated need is NOT required. Again a separate loan application must be completed for 1st-time borrowers. 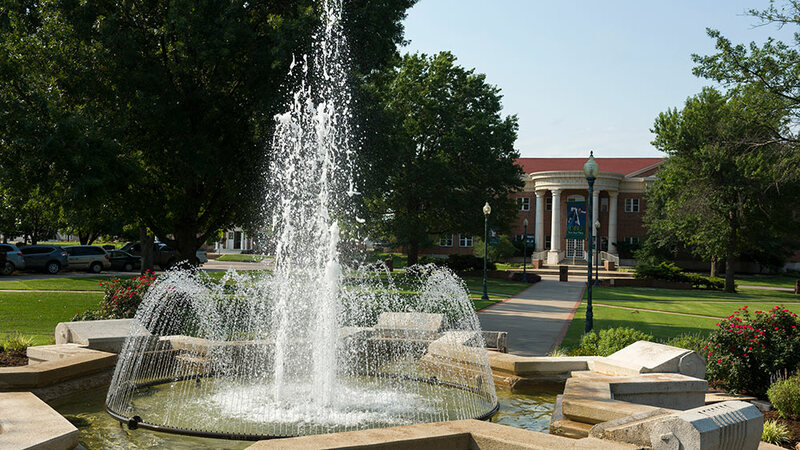 Sixty percent of all OBU students have Stafford Loans. The PLUS Loan is part of the Federal Family Education Loan Program (FFELP). Provided at a low interest rate of 7.595%, a PLUS loan allows you to fund up to 100% of the cost of your student's education less any financial aid already awarded. It's a cost-effective alternative to using savings, income, retirement accounts or home equity loans for education costs. This loan is based on credit, but if a parent is denied the PLUS loan, the student may borrow additional funds on their Stafford Loan. Parents of students may borrow up to the total cost of education less any financial aid available to the student. Repayment begins within 45 days of disbursement, but may be deferred while student is in school. The interest is fixed at 7.595 percent. PLUS loans are based on credit. However, if a parent is denied a PLUS loan, the student is then eligible for additional unsubsidized Stafford loan of $4000-$5000. Some lenders offer alternative/private loans to be used for education expenses. If you have applied for federal aid and still need additional funding, you may want to apply for an alternative loan. Lenders have different terms and interest rates, so check them out carefully. We have a few recommended lenders on our list, but feel free to shop around and find the loan that's best for you.